You don’t have to go far for it to feel like vacation. Our family business started in the late 1800's in Chicago & moved to Highland Park in the late 60's to serve passionate skiers of the north shore while also helping to create outdoor spaces for entertaining & relaxing. We serve residents of places like Northbrook, Lake Forest, Highland Park, Winnetka, Deerfield, Glenview, Glencoe, Wilmette, Evanston, and the city of Chicago with everything they need to enjoy the outdoors all year round. 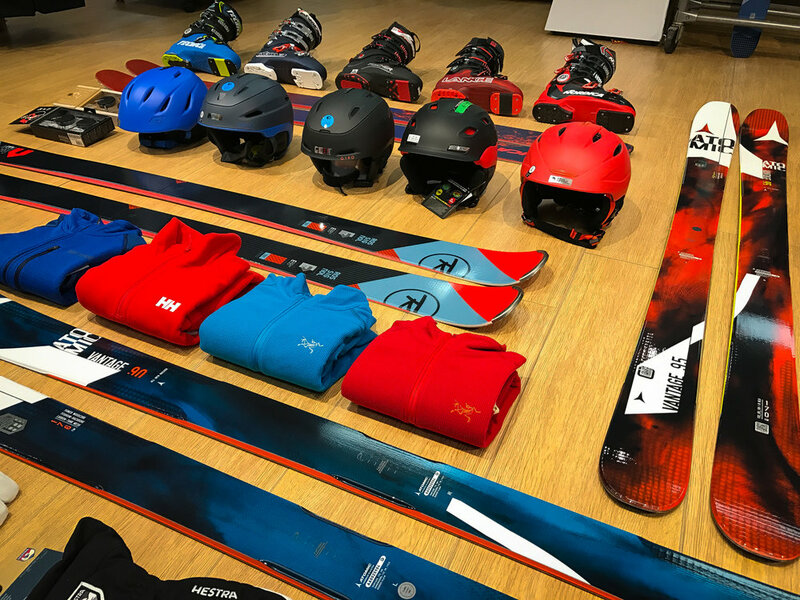 In the winter, take advantage of our full-service ski department, staffed with well-trained experts who will outfit you with ski equipment that fits your skiing style and fashion sense perfectly. In the summer, check out our patio and outdoor furniture department, stocked with everything you need to create a great outdoor space that you, your friends, and your family are sure to love. to enhance your outdoor experience. At Williams you'll find on-trend, comfortable, long-lasting outdoor furniture. You'll experience complimentary design service with a staff that is passionate about creating beautiful outdoor spaces. Whether you entertain guests frequently or just need a place to relax, we'll help you put together an ideal outdoor space that suits your needs and aesthetic. At Williams' patio service counter, we carry a wide variety of parts for all of the furniture brands we carry. Our team has years of experience with these brands, and will answer any questions you have and help guide you toward the service solution that best suits your needs. Our clothing department has high quality, functional & long-lasting pieces of clothing that keep you warm and dry during ski trips or any other outdoor winter activity. You'll experience excellent customer service with people who are passionate about the sport and about taking care of you. We genuinely care about your comfort, your needs, and your personal aesthetic. We want you to have a great time doing all that winter brings. The team in our ski equipment department is knowledgeable, highly-trained, and focused on your needs. We don't want to sell you just any ski equipment. We set you up with gear that lets you have the best possible experience when you hit the slopes. We carry top-of-the-line equipment for skiers, snowboarders, and cross-country skiers, and we put each piece of equipment through a rigorous testing process that lets us understand of how each product performs in real life. We'll outfit you in equipment that specifically works for your body type, skill-level, and needs. Our all new Crystal One robotic ski turner gets results that simply aren't achievable with conventional ski tuning machines. The Crystal one allows for a progressive, shallower base level that balances the sharpness and responsiveness of the ski. Simply put: you get a ski that turns easier, holds better on firm snow, and has a smoother glide. All these things will give you the confidence to relax and let the skis to the work. Stop in today for a tuning. You'll feel the difference. We bring the same passion to our ski service and rental counter as we do to our sales department. It matters to us that your equipment is in top notch condition when you hit the slopes, whether you're renting from us or just purchased a new set up. Our expert ski service and rental team will give you an honest assessment of what they think your equipment needs to perform at the highest level. *Last week of March is final time to bring items in for ski service. Then our Ski service department will be closed for the Summer. The Snowflake Club instructs boys and girls ages 8 through 16 how to ski and snowboard. While our primary purpose is to provide a fun-filled and exciting day of skiing, we also place emphasis on members taking lessons. We have 24 trips on the schedule this year including four Friday night trips (13 and older) 2 Monday trips and 2 Wednesday trips. All membership and trip purchases are done online. Create and account and purchase your membership. Then make sure to sign up by the Wednesday night before each trip. After purchasing your membership come in to Williams to get your ID and everything else you need to have a great ski experience! Join the Snowflake Club in-store at Williams to get Season or Daily rentals for the entire Snowflake Club Season. We also offer a Junior trade-in program for growing skiers. Ask a Williams associate for more information.